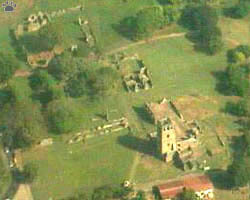 Aerial view of Panama Viejo ruins. 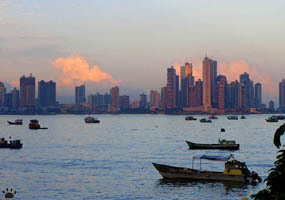 Panama City is the most dynamic and visually striking of Central American capitals. 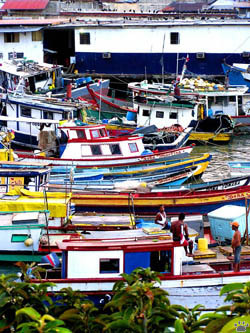 Originally a native fishing village, it was turned into a Spanish base of operations in the Pacific by Pedro Arias de Avila, in 1519. In 1671, Henry Morgan, a Welsh buccaneer, sacked and burned the city. It was rebuilt ten kilometers further west. 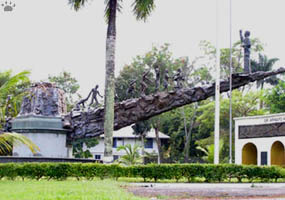 The original site is now known as Panama Viejo. 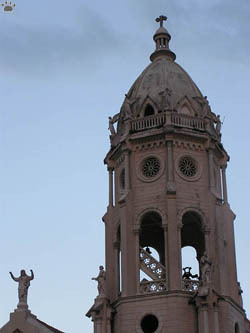 18th century cathedrals, Casco Viejo. 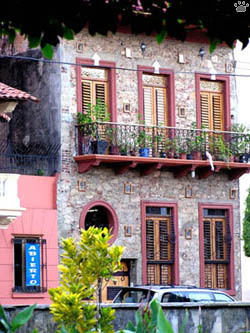 House in Casco Viejo. 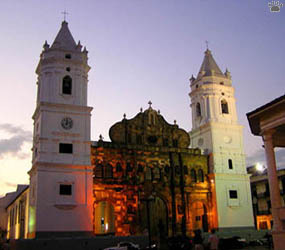 The old part of the present-day city is a charming area called Casco Viejo, on a peninsula in the Bay of Panama. 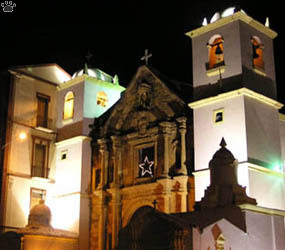 It contains a lot of old churches and colonial buildings. 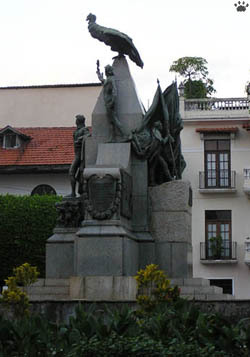 Plaza de Independencia, Casco Viejo. Churches, cathedrals and still used official buildings have been restored, but some of the narrow streets look almost like a ghost town, with lots of bats. 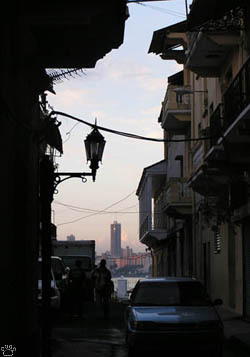 Views of the downtown from Casco Viejo. 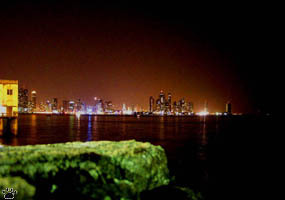 across the Bay of Panama. 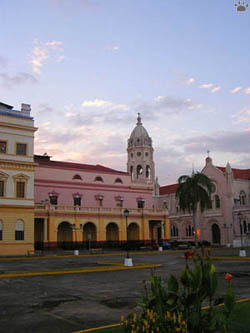 The best thing about Casco Viejo is the views. 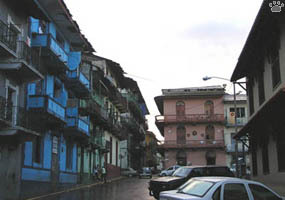 Looking along old streets, you can see the modern downtown on one side, and the entrance to the Panama Canal on the other. was still a part of Colombia, hence Andean condor on top. 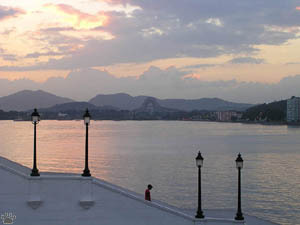 View of Bridge of the Americas at the entrance to Panama Canal from Casco Viejo.